Hi, I’m Ann. 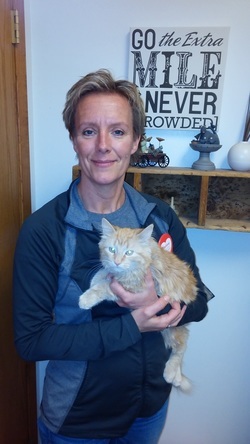 ​I’ve worked here at the Farmington Vet Clinic since 2001 as a receptionist. I enjoy all the dogs and cats and especially the new puppies and kittens. One of the things I like seeing are the pets that are helped and on their way back to health after suffering serious setbacks. I enjoy taking walks, reading and scrapbooking. My husband and I have 3 grown daughters and 3 grandchildren with another on the way! We have a cat named Turbo who is a 15 year old lounge cat! ​Hi, my name is Deb. 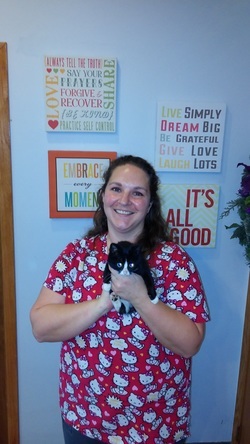 I have been a receptionist at Farmington Vet Clinic since 2013. I have worked in the vet industry since 2005. 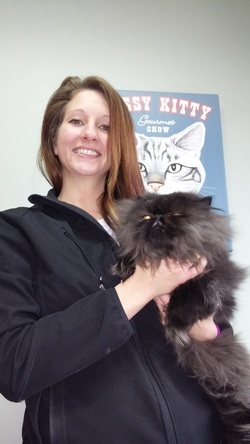 I really enjoy getting to know all our clients, and being a part of their pet’s care. I have four grown children who I am very proud of. At home I have 2 dogs and 4 cats. I enjoy music, hiking, and reading. Hi, my name is Kristy. 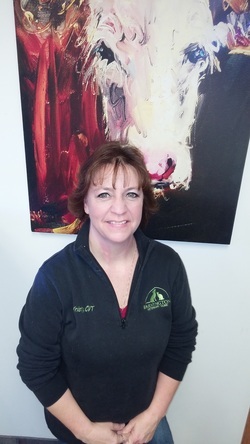 I have worked at the Farmington Veterinary Clinic since 2003. I started my career as a vet tech in 1995 and have loved what I do ever since. I obtained my degree from The Medical Institute of Minnesota and also from Argosy University. 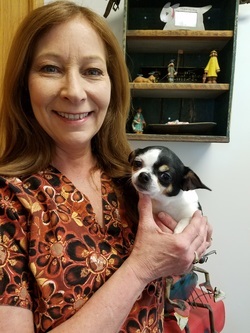 I enjoy the fact that when a pet comes into an examination room with me I give it my full attention to start their appointment off as a pleasant experience. I have 2 dogs Bailey a chocolate Lab and Levi a Golden Retriever that I adopted thru Last Hope. I also have 2 cats, Flick (whom also came from Last Hope) and Boo a DSH flame point. In my spare time I enjoy reading, fishing, spending time with my family & my three grandsons Keilen, Owen and Zaden. Hi, I am Tami. I grew up in and graduated from Farmington. All of my pets have been seen at FVC. So, I was thrilled to get the opportunity to start working here in 2011. I received my Veterinary Technician Degree in 2010 from Argosy University. I have always liked helping and taking care of animals. I have 5 cats, 3 that live with me, Crazy Carl, Noah, Midnight. Hannah, Murphy, and Bowzer the Shih Tzu/Yorkie mix moved to AZ recently. On my free time I like to hang out at home and watch movies and relax. I have been a CVT since 2010. I also became a Certified Canine Massage Therapist in early 2015. Working with animals is truly a dream job for me. Kittens are my greatest weakness but all furry critters steal my heart. I frequently foster for Last Hope Rescue. My favorite are wild baby kitties who need love and socialization. 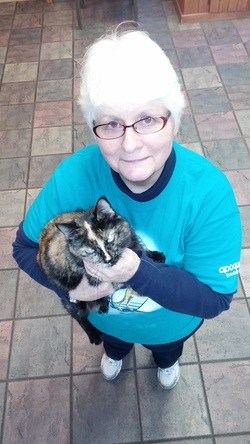 ​Wendy has been a certified Veterinary Technician for 38 years. Wendy lives with her husband on a starter ranch with her horses, dogs, cats and soon to be chickens. She has 5 children and 2 grand children. In her spare time she enjoys riding her two gated horses.